Warren County residents you should be afraid, very afraid! With the news that your sheriffs department just received an armored tank from the federal government. The department already has two military Humvees and an armored truck certainly you must wonder why? Is Warren County the new Syria? Is there some sort of countywide civil war happening that’s not been reported as of yet? Did I mention this 10 foot tall tank has a gun turret? While there is no gun in the vehicle at this moment it’s still outfitted to have one . Some are hailing this as great since it’s been provided by the federal government. Just in case you didn’t receive the memo that still means you (the tax payer) are paying to militarize your police force. I’ve read some people commenting that this is great because it is needed to get the drug dealers. Really? We need the same type of tanks used to fight wars in the middle east to apprehend drug dealers in Warren County? I find that utterly impossible to believe. They also say these military vehicles are needed just in case of flooding. You are a police force, not the military, can’t you just buy a boat? Hell you can find a bunch of free row boats on craigslist on any given day, so no need to be concerned about the financial burden of obtaining a boat. Unfortunately the real reason behind the militarizing of the Warren County Sheriffs office can be found by looking at the statements released from the Warren County Sheriffs Office. These vehicles are meant to scare the hell out of the people in and around Warren County! They are serving as a deterrent, the whole “peace through strength” argument. Aren’t the laws which provided fines and jail time the deterrent? No instead the Warren County Sheriffs want to create and spread fear to every person into following every order and always complying with any and all government regulations. That’s right, no longer are the police using jail as the deterrent to prevent crimes, now they are using the threat of military style action and combat and the threat of death to make its own residents quiver in fear. After they openly admit these vehicles are going to be used to spread fear, of course the Sheriff will bring up drug dealers first. That’s just a given because we know everyone fears the drug dealers and we all hate what drugs do to our family and friends. Bring up drug dealers is meant to calm our concerns because obviously the majority of us are not drug dealers so one can easily slip into believing the shouldn’t care about the military police force because they have never and will never sell drugs. So every resident of Warren County welcome to the new militarized police state, one in which your elected officials aren’t even trying to hide anymore. And to all of you in Washington County don’t laugh at Warren too much, after all you will be receiving one of their military Humvees as well! Congratulations, but of course it will only be used for floods and bombings so no need for concern right? Warren County residents and all those who live near by you should be calling and emailing the Warren County Sheriff and telling them you do not support the Sheriffs office becoming the Warren County Military. Threaten to vote him out! All second amendment supporters who ever have said “without the second we would have no others”, well you need to raise hell over this issue and that is just a MATTer of Fact! Why not? 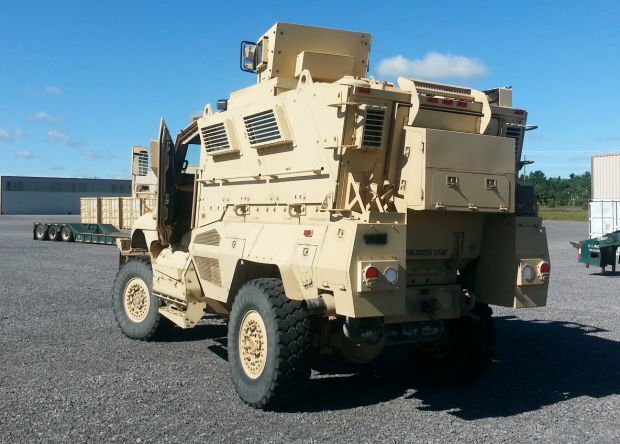 Many years ago, the town of Schodack under the Chief of Police then, named Frank Vasquez, had an armored tank and personnel carrier, courtesy of the Federal Government. This was required under the control of the Chief as for crowd control. i think its great, you’re giving the impression that its going to be used to patrol the streets all the time, its going to be used for tactical and emergency operations. wont see anyone complaining when its used to deal with a bank robbery or something.